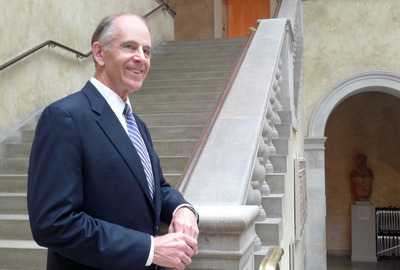 Today, James A. Welu, who has been director of the Worcester Art Museum since 1986, told his staff that he plans to retire from the post as soon as a replacement can be found. Welu, a specialist in 17th century Dutch and Flemish art, first started at the WAM as an assistant curator in 1974. In his time in charge, he has overseen many changes, and has personally organized exhibitions of artists such as Judith Leyster, as well as themed shows such as "Hope and Healing: Painting in Italy in a Time of Plague 1500-1800." In recent years, he has funneled increasingly scarce resources into improving the display of the museum's permanent collection, which is one of the finest in the country. He is not leaving the museum: he will continue in a new role, which will include research into the museum's own history.